In an interview by CNBC on February 13, 2017 the well known visionary and entrepreneur Elon Musk made the statement that humans must merge with intelligent machines or become irrelevant in the age of artificial intelligence (AI). In an age when AI threatens to become widespread, humans would be useless, so there’s a need to merge with intelligent machines, according to Musk. Musk explained what he meant by saying that computers can communicate at “a trillion bits per second”, while humans, whose main communication method is typing with their fingers, can do about 10 bits per second on a mobile device. “Some high bandwidth interface to the brain will be something that helps achieve a symbiosis between human and machine intelligence and maybe solves the control problem and the usefulness problem,” Musk explained. This statement comes at a time when the tech giants like Google, Apple, Amazon and IBM are competing to provide the best language interface to access a growing number of internet services. Products like Siri as part of the I-Phone or the voice activated loudspeakers Alexa from Amazon and Google Home from Google are designed to provide a more efficient access to web based applications. Estimates of user acceptance of Siri for example are still low in the range of 10 to 15% but expected to raise with better conversational capabilities. While the human brain has enormous input bandwidth to acquire and interpret information fed by the eyes, ears, touch etc., its output bandwidth to communicate is indeed very limited. To follow up on Elon Musk’s vision, a brain-computer interface (BCI) is required as a direct communication pathway between the brain and an external device. The field of BCI research began in the 1970’s and development has since focused primarily on neuroprosthetics applications that aim at restoring damaged hearing, sight and movement. Following years of animal experimentation, the first neuroprostethic devices implanted in humans appeared in the mid-1990s. In 2016 Harvard Medical School began testing a new design of a brain implant meant to restore vision to the blind. Tests with this new computer chip implant will start with monkeys by transferring data into their brain designed to avoid the problem of blindness. Initially these devices will be used to stimulate the visual cortex of the monkeys to try and re-create the activity normally triggered by signals from the eyes—creating the sensation of sight without the eyes’ input. Ultimately, the goal is to use the implant to convert signals from an external camera restoring vision to humans. Kernel Company, a U.S. science start-up founded in 2016 with an initial venture funding of USD 100 Million is building a tiny computer chip that can be implanted into the brain to help people suffering from neurological damage caused by strokes, Alzheimer’s or concussions. Top neuroscientists who are building the chip hope that in the longer term, it will be able to boost intelligence, memory and other cognitive tasks. Kernel’s technology is centered around a researcher named Prof. T. Berger from UCLA who has been working for the past 35 years on how to store brain memories on computer chips. His research has moved across the spectrum from giving monkeys cocaine and seeing how they recall memories, to testing the memory process of people with epilepsy who have electrodes temporarily implanted in their brain. In the human tests, these electrodes were used to record signals sent to a region of the brain called the hippocampus. 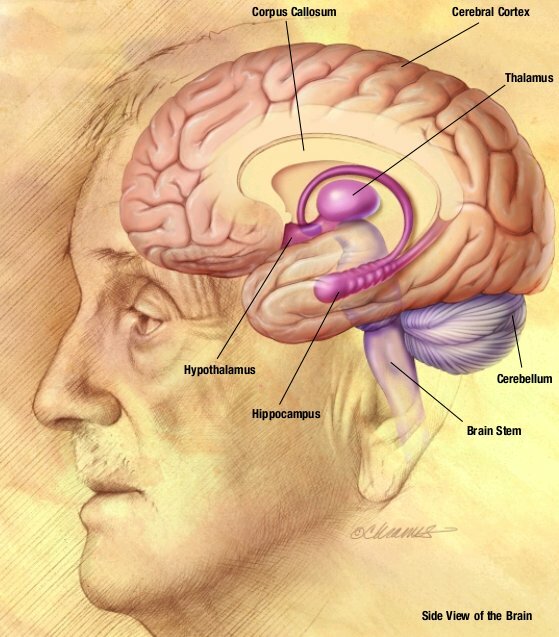 The hippocampus is where short-term memories are converted to long term memories upon which they are transferred to the brain’s “hard drive” . It’s those long term memories that Prof. Berger is targeting. The ability to create a bridge between the hippocampus and an implanted computer chip will result in “memory implants” that can enhance the memory of those who are suffering from memory loss that accompanies aging for example. Since the way the brain works is often seen as a black box with 100 billion neurons firing away, the Kernel Company is using machine learning techniques in order to figure out how the brain goes about writing and retrieving memories. In essence Kernel is using artificial intelligence to understand real intelligence which eventually will lead to brain augmentation in the form of brain implants. Based on high-speed bidirectional brain implants it seems possible to upload the content of biological brains into similarly structured artificial neural networks and its associated memories, a process which is also referred to as mind uploading. Among some futurists and within the transhumanist movement, mind uploading is treated as an important proposed life extension technology also referred to as digital immortality. Some believe mind uploading is humanity’s current best option for preserving the identity of our species. Another aim of mind uploading is to provide a permanent backup to our “mind-file”, and a means to produce functional copies of the mind to survive a global disaster or interstellar space travels. Computer based intelligence applied to an upload of the content of our biological brain could surpass biological human intelligence by far. Underlying the concept of “mind uploading” is a philosophy that consciousness is part of the brain’s information processing and is in essence an emergent feature that arises from large neural network structures of organization. The same structures of organization can be realized in computer processing devices external to the human brain and be copied and stored for future download. To the founders and researchers at Kernel Company the biggest bottleneck today in opening up a potentially powerful new future enhancing real-time human intelligence with artificial intelligence is the limited communication speed of screens, keyboards, gestural interfaces and voice commands. Consequently we have limited conscious access to our own brains, restricting our ability to co-evolve with artificial intelligent machines in more powerful ways. To them neuroprosthetics (brain implants) are the most promising avenue to meet this challenge. Through the real-time integration of human brain intelligence with artificial machine intelligence it is believed that this will result in the most significant advancement in our capabilities of thought, creativity and intelligence ever witnessed in the history of humanity. The application of implant-prosthetics to reduce or solve health problems is not new. Heart pacemaker implants for example have been available for many years and according to health statistics about 76’000 pacemakers were in use in 1972 in Germany alone. The use of digital brain implants (neuroprostethics) are likely to improve the living conditions for people with brain related illnesses such as Epilepsy, Parkinson, Alzheimer , Blindness or Deafness. To apply brain implants to expand our intelligence as suggested by Elon Musk or the Kernel Company should be critically viewed not just by the general public but by policy makers as well. The progress in machine learning has given us huge options to comprehend and extend knowledge based on content which originally was and still continues to be generated by humans through the admittedly slow sensory output of speech or typing. However, using our sensory system as a loosely-coupled interface to intelligent machines allows us to define the role of the machine as an assistant under our control. It might well be that a tightly-coupled high-speed connection between our brain and an artificially intelligent machine enhances the intelligence of human beings. However this possibility also opens up the road of misuse such as brainwashing or losing control over the very essence of humanity. To Elon Musk we have no choice but to become Cyborgs, otherwise humans will become useless in an age of artificial intelligence. In social terms this might generate a two-class society, one with brain enhanced intelligence and one without. A similar discussion has been taking place in respect to so-called ‘Designer-Babies’ where the DNA is modified with a technology called CRISPR creating an ‘improved’ human being as compared to a non-modified being. How will the two classes of individuals – enhanced and non-enhanced – relate to each other? The technology is available and sooner or later we will have to decide what we want: become Cyborgs or remain Humans. cherryvale ks doing this rifd telepathy,thing and still they say nothing to me,but I talk to people who never show there faces,but pretend im nuts,Why,if I do it then what not talk to me….